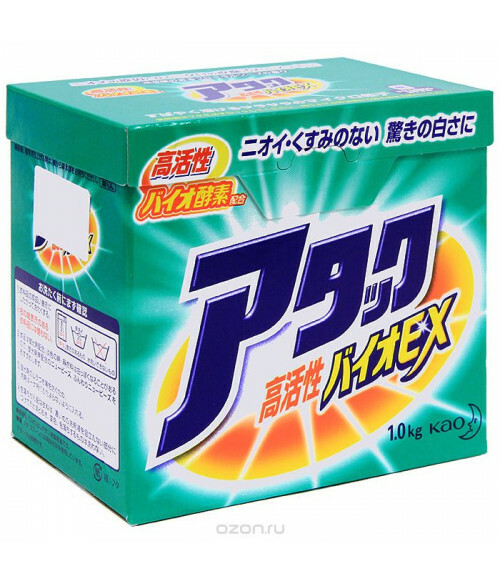 1 kg = 29 washings = 4.5 kg ofconventional powder. Unique patented technologies make thebasis of the Attack products: special enzymes that work at leasttwice as efficient as conventional powders, and the rapid dissolutiontechnology, which does not only allow to wash effectively in coldwater, but washes the power out well, leaving no small particles thatcan irritate the skin of both adults and children. •Perfectly washes in coldwater so that you can wear your favorite things longer, reduceswashing time and power consumption. 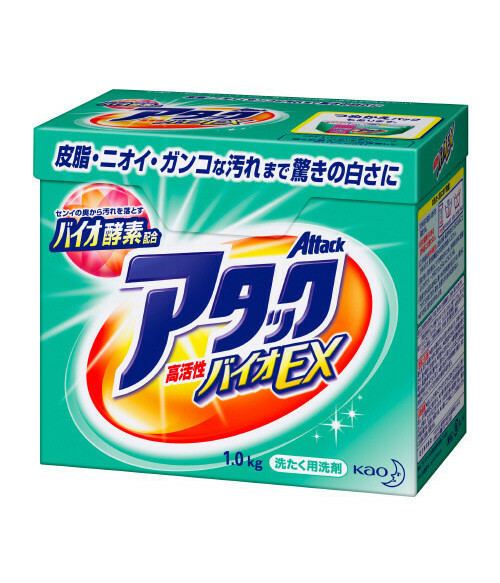 The Attack has been the undisputedleader in the Japanese market for already 16 years! It is №1 inJapan with the largest market share in monetary terms in detergentsfrom 1995 to 2011. 1. Read the label with instructionson the use of clothing. 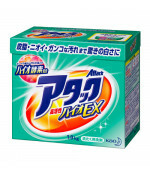 Do not use when washing things which labelssay they need to be washed with a neutral agent and careful washingmachine regime with water temperatures 30 C, or with a neutral agentmanually at a temperature 30 C, do not apply to things that must notbe washed in water . 2. The product contains a fluorescentsubstance. Plain cotton and linen can get a whitish hue, so for suchfabrics we recommend to use the «ATTACK» and «NEW BEADS» liquiddetergents. 4. For fabrics which can loose thecolor be sure to try a thick solution of detergent in an odd area ofclothing for five minutes. Do not wash clothes which change color orfade. Purpose: To wash things made ofcotton, linen and synthetic fibers.